City inspectors closed Clifton Market on Friday for operating without a license following the transfer of management control to prospective buyer Gurmukh Singh. Singh told WCPO he had a 45-day management agreement that was set to expire last Dec. 31. He said extended it for 100 days but didn't provide the city with a copy of it. He expects to re-open later Friday. This follows Dan Monk's Thursday report that a Clifton Market lender had filed for foreclosure. 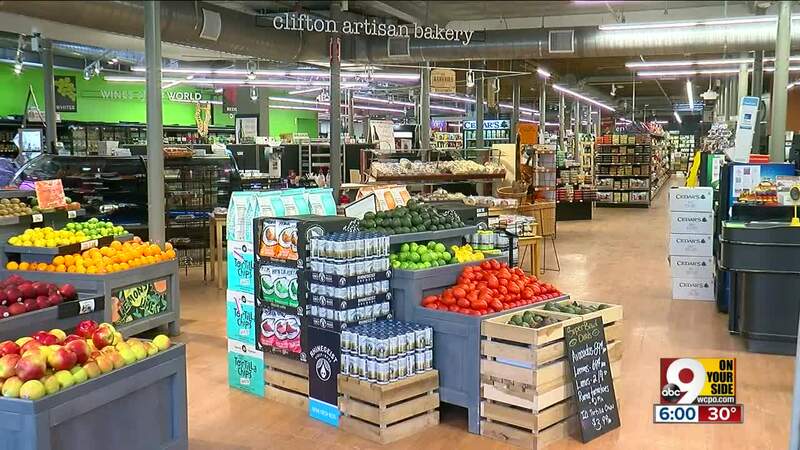 CINCINNATI — City inspectors briefly closed Clifton Market on Friday for operating without a license following the transfer of management control to prospective buyer Gurmukh Singh. The store was closed just before noon Friday and reopened around 4:45 p.m. Singh blamed the closure on a paperwork problem: He had a 45-day management agreement that expired Dec. 31. It was extended it for 100 days, but Singh didn't provide the city with a copy of of the extension. The Cincinnati Health Department confirmed in a statement that the closure was "due to regulatory issues" and "was not related to sanitation issues." The closure followed an eventful two months for Singh, who signed a $1.8 million purchase agreement for the beloved neighborhood store in November and promptly restructured operations to improve its financial outlook. He said revenue is up 80 percent from the month before he took over, and it's operating profitably after he trimmed labor costs by cutting eight jobs from its 26-person staff. "It's very close to where it was in its big days, when they first opened," he said. "The store is doing really well, and we are really happy that we stepped in." However, Clifton Market's recovery won't be complete unless three big lenders sign off on Singh's purchase. As WCPO reported Thursday, the market's largest lender has sued to foreclose on its real estate. Arlington, Virginia-based National Cooperative Bank claims it is owed $1.9 million and asked a Hamilton County judge to order the property sold to satisfy its debt. Two other mortgage lenders, owed a combined $1.3 million, are seeking the same remedy. The Clifton Market board won't be able to finalize Singh's purchase unless those lenders agree to accept the proceeds of Singh's purchase as payment of the debt. Singh said he isn't willing to increase his purchase offer and thinks lenders will get more money more quickly if they accept his $1.8 million. "I think they'll come out better this way," he said. Clifton Market shareholder Tom Lohre said Singh is "doing a great job" in navigating the transition. "As far as being on the floor, talking to customers when they come in, getting the shelf stocked, everybody thinks everything is perfect," Lohre said. "We got our store back."